We’re thrilled to welcome Nashville stylist Milton White of The Fashion Office to StyleBlueprint today. 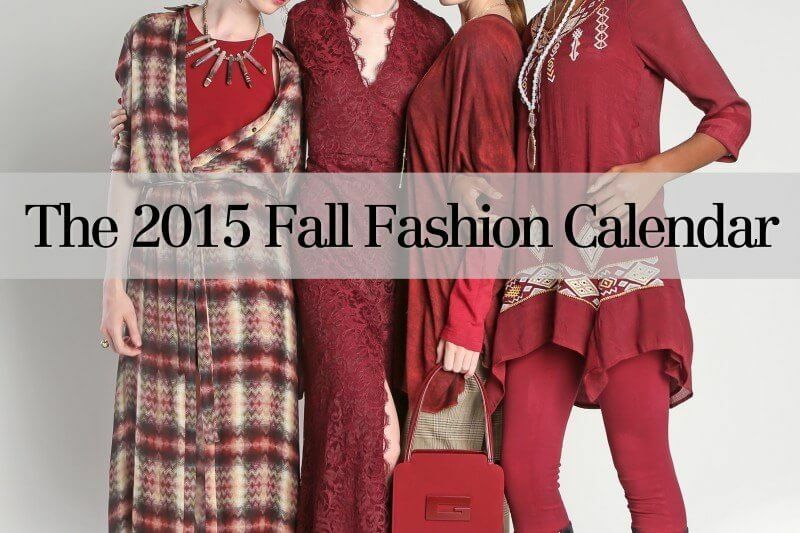 He hand selected 12 stunning outfits for the 2015 Fall Fashion Calendar, featured today. Welcome, Milton! I have been called many things over the years—Style Doctor, Fashion Therapist, Fashion Guru, Style Warrior, Fashion Whisperer … others’ descriptions of me, not my own. I like to think of myself as a guide and curator, and I’m happy to share the fashion and style discoveries I uncover along the way, which is what I’m excited to be doing today … helping you map out your fall fashion selections for the season’s top events! For September, also known as the January of fashion, marsala is the color—days of wine and roses. For October, update classic black-and-white by pairing it with splashes and accents of color. In November, shades of gray (50 or more!) combined with navy is just perfect. Now, get out your calendar, mark down the dates of these great doings, purchase your tickets if need be and head to your favorite local boutiques to lock in your looks. And I look forward to sharing more useful style suggestions with you in the months to come! Bring on fall! This annual, black-tie affair is one of Williamson County’s most treasured events. This year’s theme, Rhapsody in Blue, features cocktails followed by dinner and dancing. Guests can also enjoy a silent auction and live music, all in support of the historic preservation of Franklin. It is a can’t-miss event! As such, make sure you’re dressed just as unforgettably. Once in a Blue Moon is an annual event held at Glen Leven Farm, and it benefits The Land Trust for Tennessee, which works to protect our land and cultural heritage. The evening includes a festive atmosphere, complete with live music, dancing and so much more. Tickets are $250 and must be purchased by October 2. Click here to purchase. And sure, the heels may not be practical as the party is on grass, but they’re too cute not to at least show them. If you’d prefer a bootie or even a wedge, that’s up to you! This fourth annual event benefiting the Cumberland River Compact takes place at Green Door Gourmet‘s Grand Barn. Guests can enjoy a delicious, five-course meal, with each course prepared by local chefs and created with locally sourced ingredients. Wine and beer, plus live music by candlelight, equals a truly elegant Nashville affair. Tickets are $125 each and can be purchased here. Now, on to your wardrobe selection! From May to November, folks can venture out to the beautiful Arrington Vineyards for an evening of live jazz and amazing wines. A great option for a girls’ night out, date night or even a family outing, guests can bring a picnic, explore the vineyard grounds and soak up a fantastic evening that only Middle Tennessee can provide. Music in the Vines is free, as is parking. Learn more at arringtonvineyards.com. Here’s a suggestion of a perfect outfit for the musical outing. This sixth annual event is an amazing and magical affair. This year’s theme, Designs to Intrigue, will definitely be a night to remember. Tickets are $500 per person, and the evening, which takes place at the Parthenon in Centennial Park, benefits the preservation of both Centennial Park and the Parthenon. Click here for ticket information and to learn more. And now, let’s look at what to wear. The 2015 Nashville Public Library Literary Award will be presented to Jon Meacham, and the evening promises to be a night to remember. Taking place at the Nashville Public Library downtown, the black-tie affair includes cocktails, followed by dinner and remarks from Meacham. Tickets are $600, and benefit library programs and outreach efforts. Click here for ticketing information. And behold this gown that will undoubtedly turn heads!